UEX Corporation (TSX:UEX) is pleased to announce that it closed its previously announced flow-through common share offering with a syndicate of underwriters led by Cormark Securities Inc. The underwriters purchased 28,571,429 common shares that qualify as “flow-through shares” for the purposes of the Income Tax Act (Canada) at a price of $0.21 per Flow-Through Common Share of the Company for aggregate gross proceeds to the Company of approximately C$6.0 million. 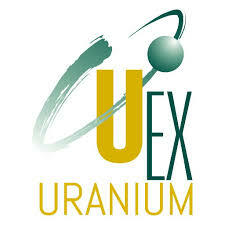 UEX is a Canadian uranium exploration and development company involved in eighteen uranium projects, including seven that are 100% owned and operated by UEX, one joint venture with Orano Canada Inc. and ALX Uranium Corp. that is 50.1% owned by UEX and is under option to and operated by ALX, as well as eight joint ventures with Orano, one joint venture with Orano and JCU (Canada) Exploration Company Limited, which are operated by Orano, and one project (Christie Lake) under option from JCU (Canada) Exploration Company Limited and operated by UEX.